Animal Wildlife | Jackal | The jackal is a medium sized member of the dog family, originally found in Africa, Asia and southeast Europe. 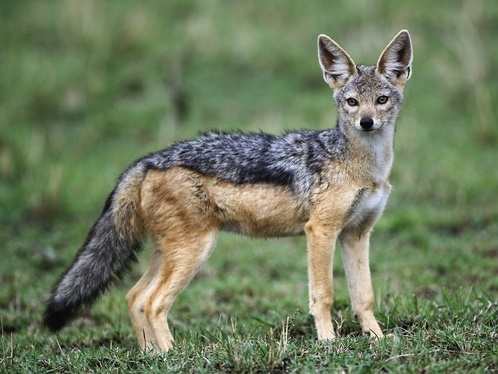 There are four main species of jackal with these jackal species being the golden jackal, the side-striped jackal, the black-backed jackal and the Ethiopian wolf jackal. 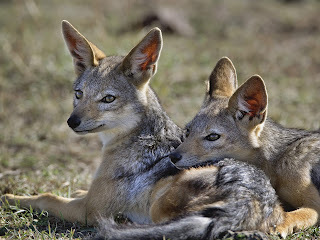 The golden jackal is the most northernly species of jackal and can be found as far east as Burma in Southeast Asia. 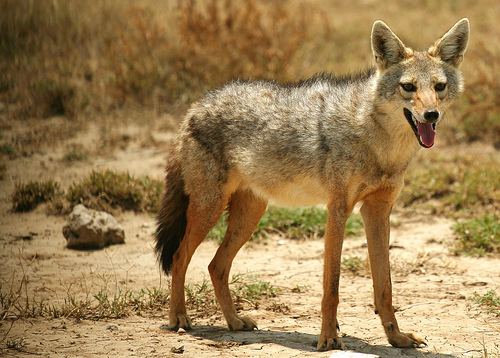 Jackals are generally found in packs of roughly between 10 and 30 jackal individuals. Jackals use their large group numbers to their advantage and work together in a similar way to a wolf pack to both occasionally hunt for food but more so that the jackals can protect one another. Jackals are small canines that have adapted to hunting small mammals, birds and reptiles. Some species of jackal have even been known to eat poisonous snakes. 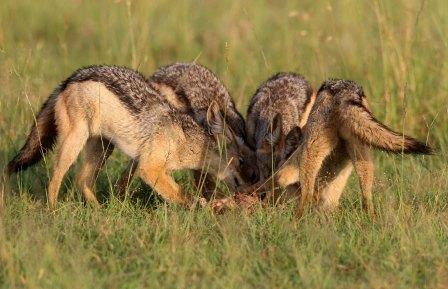 Jackals are carnivorous mammals and jackals will often scavenge the remains of kills made by other larger predators. The jackal is a nocturnal mammal that can easily maintain speeds of 16km an hour for long periods of time. Although the jackal belongs to a jackal pack, jackals often prefer to hunt alone or with only one other jackal. 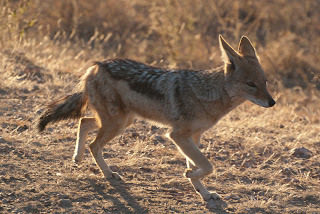 This means that the jackals tend to have a higher chance of ambushing their prey as if the jackals regularly hunted in large groups, the jackals would have less success in being stealthy and silent. Although the majority of the diet of the jackal is made up of meat, many jackal individuals (particularly those jackals living in the tropics of Southeast Asia) will often eat plant matter if no meat can be found. Jackals are very territorial animals and jackals have no hesitation in defending their marked territory. Jackals have a wide range of vocal sounds that are specific to each jackal family meaning that is rare for families of competing jackals to come into accidental contact with one another.